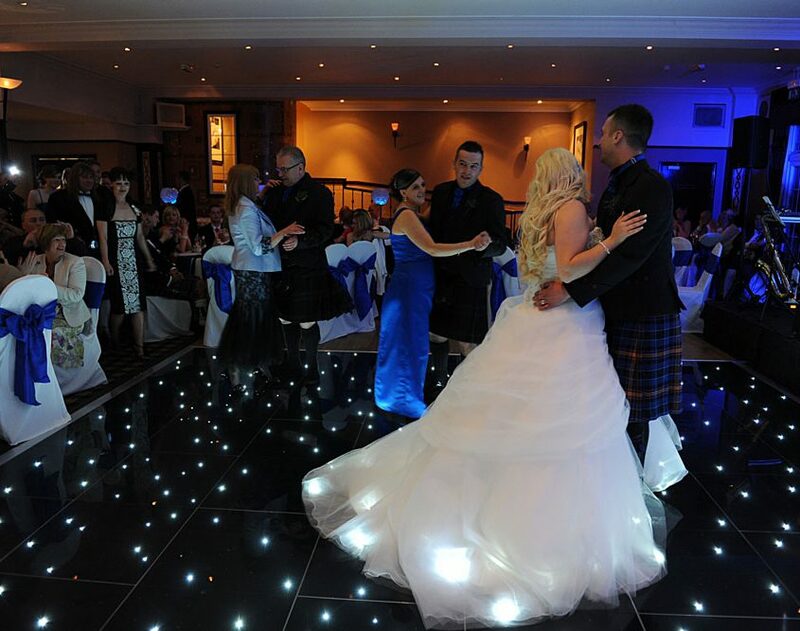 A portable dance floor is the perfect centre piece for any special event. 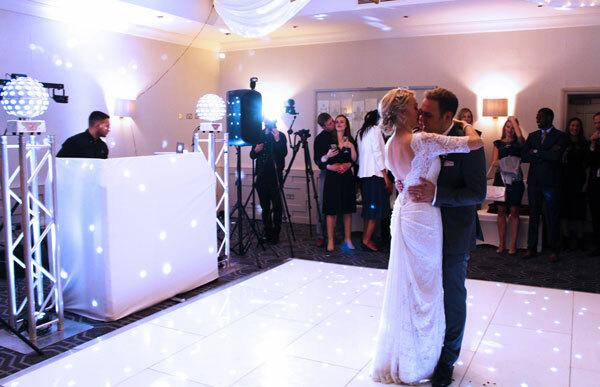 Are you looking for Dance floor rental for your big day? 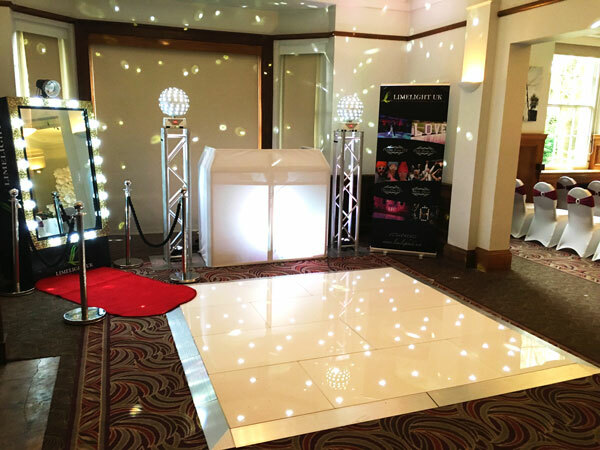 Limelight UK include dance floor hire in their party hire stock and currently offer a white star lit LED dance floor, Black LED star lit dance floor and a black and white dance floor with glitter effect panels. 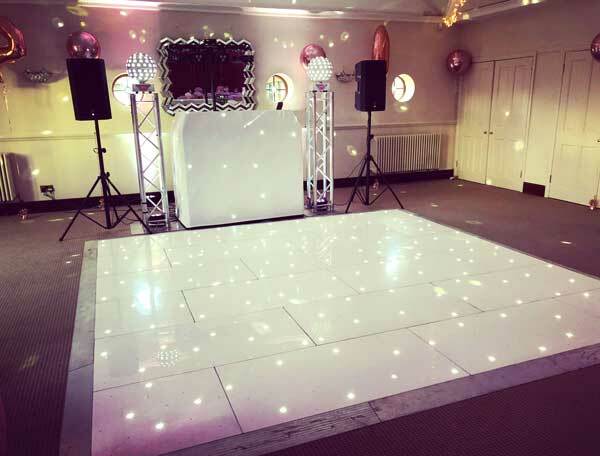 Our white starlight dance floor is a beautiful hire piece that adds a touch of sophistication to any room, and is perfect for weddings, proms, birthdays, Bar Mitzvahs or as a catwalk for fashion shows! 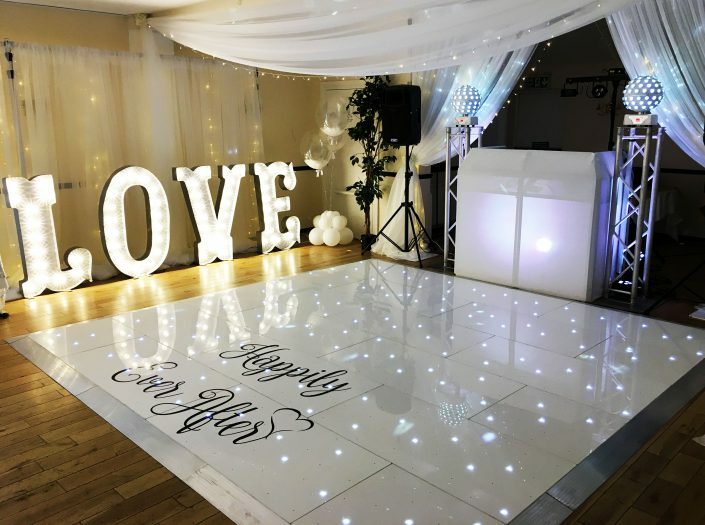 Our white LED dance floor is hugely popular with weddings as the perfect addition to the newlyweds first dance, and has hundreds of LEDs that will at interchangeable speeds. 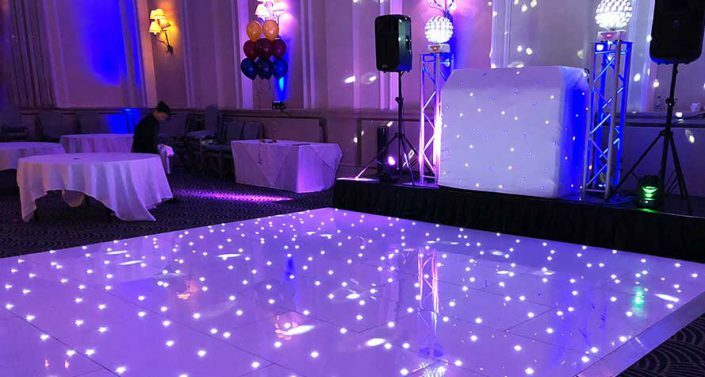 The white twinkling dance floor is available different shapes and sizes up to 20ft x 18ft, with secure interlocking panels and aluminium edging as a safety feature. 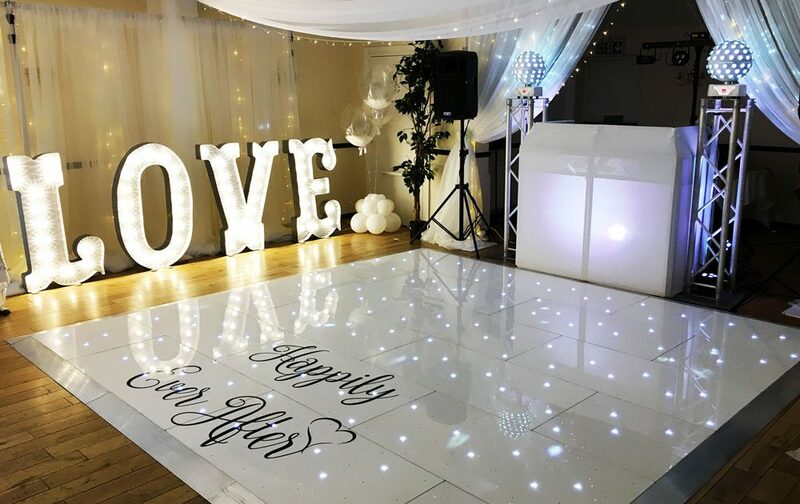 A perfect addition to our white star lit dance floor is our light up love letters! NEW! 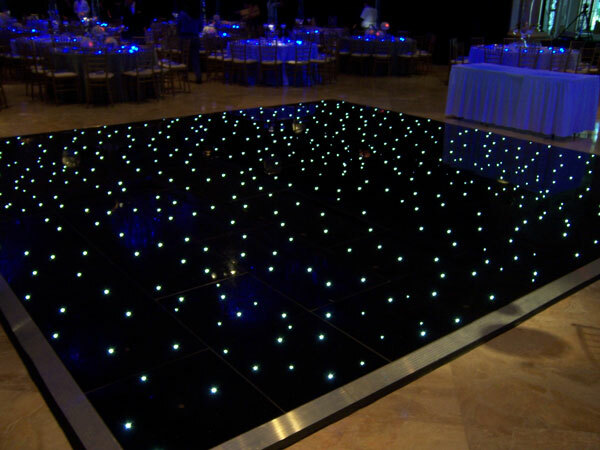 Black LED Star lit dance floor hire available up to 16ft x16ft! Our black and white dance floor is another option for dance floor hire, with glitter effect panels that shine as the light hits! 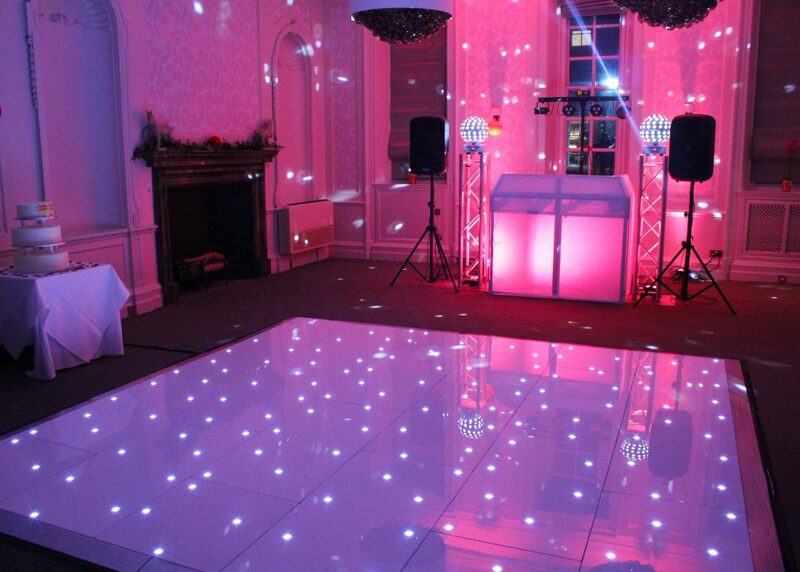 This dancefloor is available up to 13ft x 13ft and in smaller sizes or shapes. 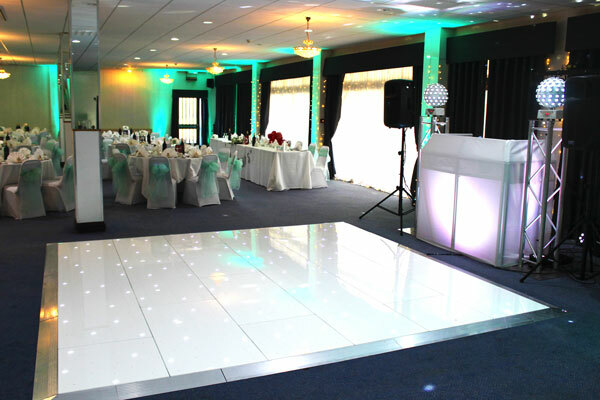 Our black and white dance floor is popular due to competitive pricing and as it adds an element of sparkle to the room! 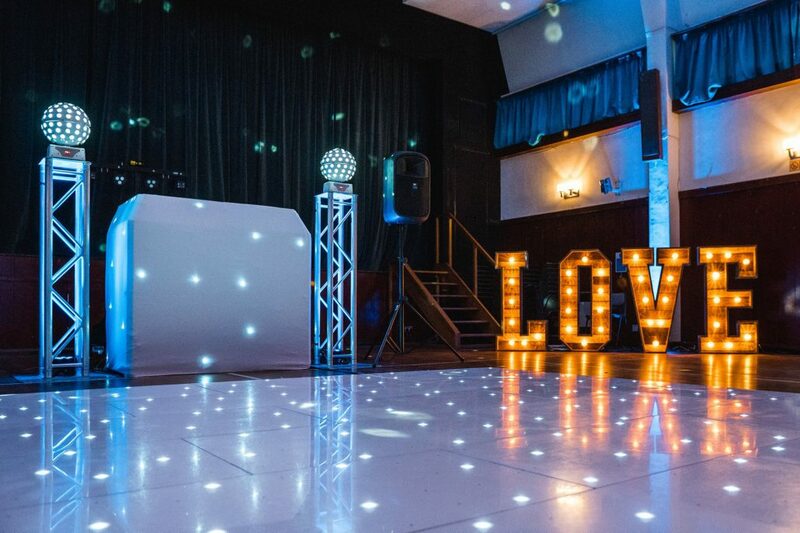 Book your next event with us today and we guarantee you will have one of the best times of your life! 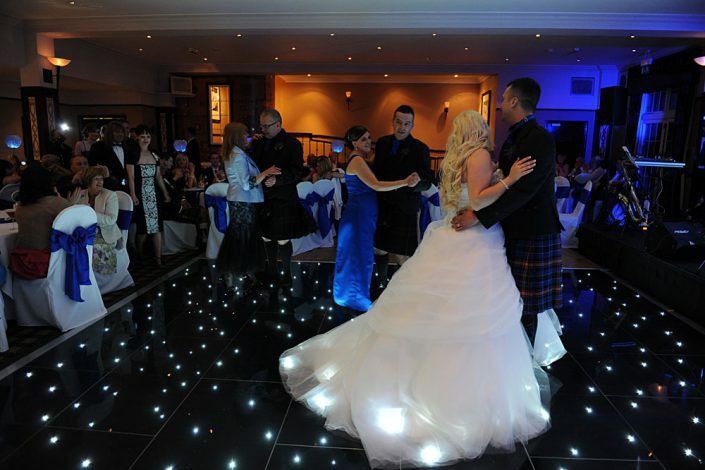 Signup to our newslettter to be the first to hear about our latest offers! We don't spam.